The Chinese smartphone maker ZTE has presented the new Blade D2 smartphone, which belongs to the budget market segment. Despite this, the smartphone features a very powerful 4000 mAh battery that will be able to feed the device with energy for a long time. What’s more interesting is that the 4000 mAh battery has had no effect on the smartphone dimensions – the new ZTE Blade D2 handset measures 144 x 69.5 x 8 mm and weighs 155 grams. The new smartphone comes with a 5-inch display that works at 1280 x 720 pixels. In addition it has 1 GB of RAM, 8 GB of internal memory, a microSD card slot for expansion of the internal memory (up to 64 GB), a MediaTek MT6735P processor with four cores at 1 GHz, two cameras – one rear at 8 MP and another front at 2 MP and a microUSB connector. The Blade D2 also offers support for 4G LTE, Bluetooth 4.0, 802.11n Wi-Fi and GPS. The smartphone runs Android 5.0 Lollipop but it is unclear whether it will get an update to Android 6.0 Marshmallow. 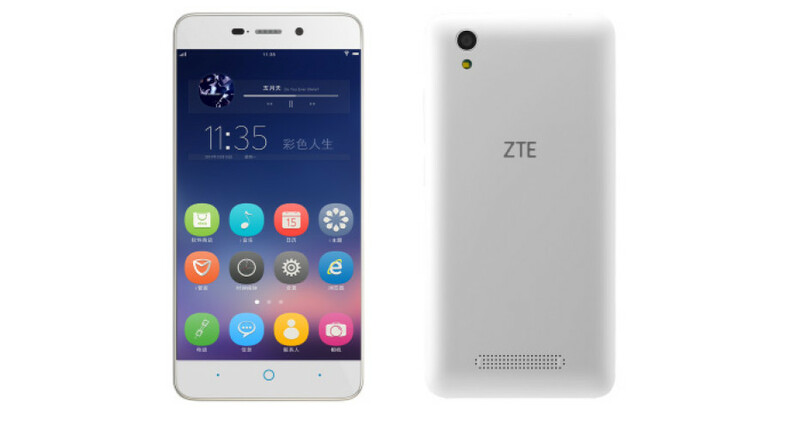 The new ZTE smartphone is available in Thailand and Vietnam for around USD 120. As of now there’s no information on whether the Blade D2 will become available in other countries.